The father of a young East Bay boy who police say was fatally stabbed by an 18-year-old friend of the family is speaking out for the first time since the tragedy. 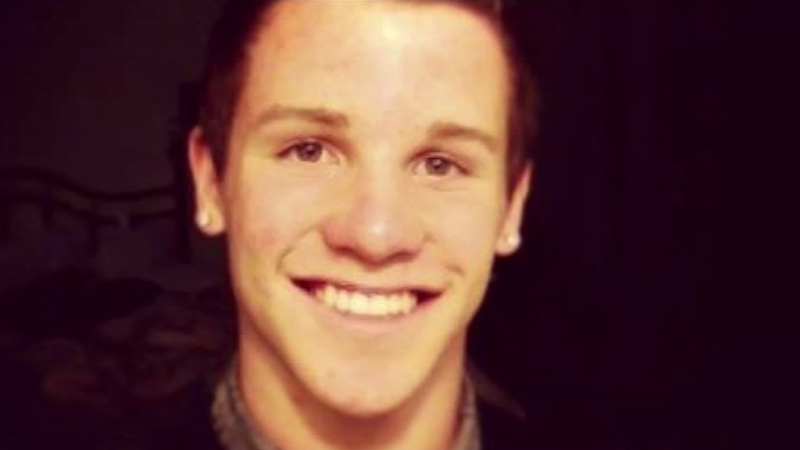 DISCOVERY BAY, Calif. -- Clearly devastated by his family's loss, the father of a young East Bay boy who was stabbed in his home last weekend made his first public statements on Thursday. Jon Almgren did not address what happened to 9-year-old Jordon, but he did want to thank the community and share a bit more about his son. The Almgren did not have any words for 18-year-old suspect William Shultz. Instead, their focus is on their son and, as they put it, their joy for Jordy. "Jordy was an enormously friendly, happy, and welcoming boy," said Jon. Friends and family are mourning the death of 9-year-old Jordon Almgren who was fatally stabbed in Discovery Bay, Calif. on April 26, 2015. It was a statement from the heart from a father who lost so much just a few days after his young son was stabbed to death by a family friend. "As you know, Jordy was only 9 years old, but he packed a lot of great experiences, happiness and friends into those nine years," Jon said. "And though he is no longer with us, we know that Jordy is still an angel looking down on us from above." The third-grader was a young boy who clearly loved baseball, had a bright smile, and a 'welcoming nature." His family's statement comes one day after Shultz made his first court appearance on charges the teen stabbed the boy to death while staying at the Almgren home. The defense attorney for an 18-year-old Discovery Bay man who admitted to fatally stabbing a 9-year-old boy says "this is a case about mental illness." "Right now I'm an advisor to the family, I'll be an attorney later," said family attorney Michael Verna. Verna would not address circumstances around the murder, except to say the Almgren's had no idea Shultz had been evaluated for mental health issues mere hours before he was allowed to stay at their home. The next morning, Jordon was killed. "His gorgeous smile will live on and we know Jordy would want all of us to smile every day," Jon said. The family has created a website JoyforJordy.com, featuring a photo showing his baseball teammates honoring him with jerseys that all bearing Jordy's number 2. A baseball team wears shirts in honor of 9-year-old Jordon Almgren who was fatally stabbed in Discovery Bay, Calif. on April 26, 2015. NorCal teen says he stabbed sleeping 9-year-old "to see what it was like"